We are all human and for most of us that means that we need and want other people in our lives. Other people help to guide us, at times. Each encounter is a learning experience, whether good or bad, but it is also important for each of us to have alone times. Being alone allows us to discover who we really are. It gives us the opportunity to discover our innermost being, and through that discovery we are able to grow. I found this quote here. It comes from The Invitation by Oriah. I believe that those empty moments create a spiritual growth that can only be found when the chatter of the world eases away. So if, right now, in this moment, you are alone on this journey through life, know that it is okay. Know that it is a wonderful opportunity for personal growth. I have been alone now for almost 8 years. 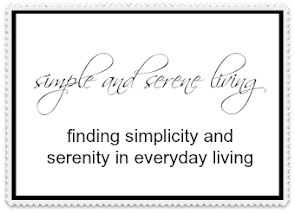 I have adjusted to it and most times find it peaceful. I am glad that you have been able to make the adjustment and find peace in it. Beth. When my husband started traveling with his job, he left on Monday and came home on Friday, I thought my world had come to an end. I didn't know how I would handle being by myself all week. But, as the years passed, I learned that I could make it and make decisions that I usually depended upon him to make. Now, many years later, I realize that the Lord was preparing for this season of our life where he is physically not able to make all of those decisions. I am grateful I can tend to his needs and spend special time with him and still be able to make all of the major and minor decisions that have to be made without it all being thrust on me at one time. 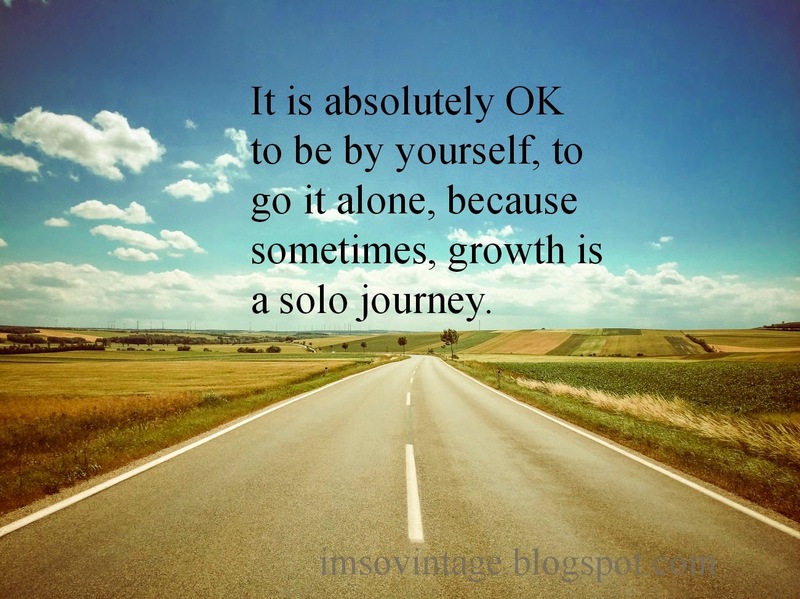 So, in the long run, I am grateful for the alone time I had in which to grow more independent. Laura, I think alone time is more difficult for most extroverts than introverts. I've always quite enjoyed my alone time but looked forward to my husband's arrival back home each day. I do know people who can't stand to be alone. I often wonder how much they are missing out on getting to know themselves and to use that time alone for growth. I have needed, wanted, and liked being alone for as long as I can remember. I've been alone now for 25 years and I never feel lonely. :0) I like being around people but it tires me out. I am really enjoying my alone time since I moved last year. Lots of time spent with my Mom the last few months and I am once again in need of some alone time to rejuvenate! I find alone time quite comforting. It helps to clear my mind, and recharge. I enjoy my time alone. I always have. The quiet, the way thoughts come and go so easily without all the noise. It's necessary for me.